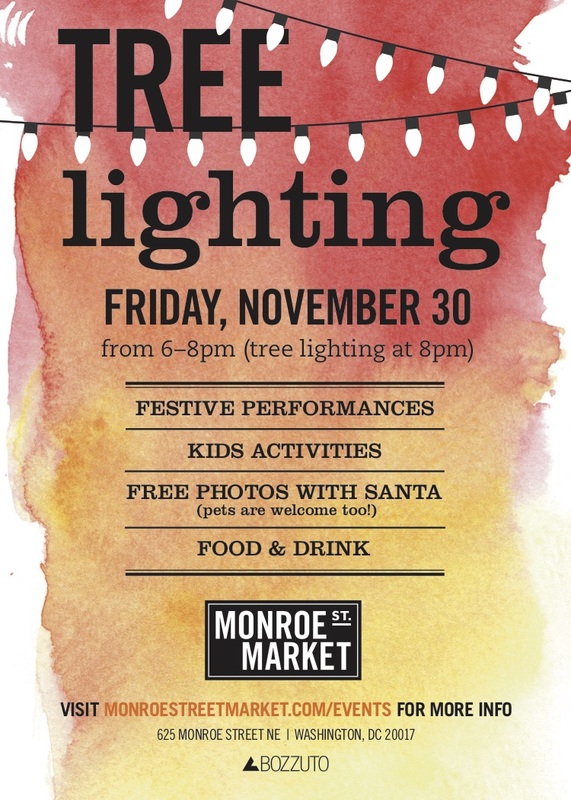 Join your friends and neighbors at Monroe Street Market as we officially kick off the holiday season with our annual holiday tree lighting event. Enjoy food and drink offerings from local retailers, free photos with Santa, live music, kids entertainment, and more! This year’s event will also include performances from the CUA Dance Team and the brilliant sounds of Take Note and Word of Mouth, two acapella groups based in the D.C. area. The festivities will take place on Friday, November 30th from 6:00-8:00pm, with the tree lighting countdown at 8:00pm, at 625 Monroe St. NE Washington, DC 20017.